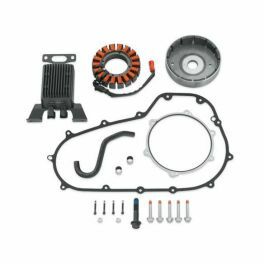 The Harley-Davidson® High Output Charging System is engineered to provide abundant power for all your accessories at any engine speed. 29900028A fits '11-later Touring, '10-later CVO™ Touring and '09-later Trike models. Stock on '14-later FLHTKSE, FLHXSE and FLTRUSE.